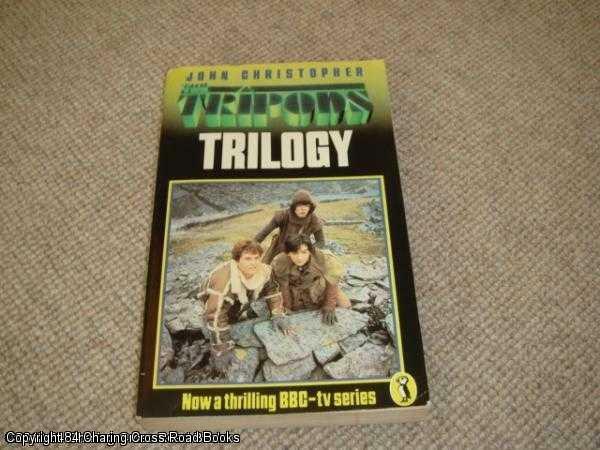 Title: The Tripods Trilogy: "White Mountains", "City of Gold and Lead" and "Pool of Fire"
Description: Puffin, 1984. First Separate, Paperback. Very Good Condition. 9780140317220 ~~BBC TV SERIES TIE-IN PUFFIN PB~~VG 1984 1ST PRINT BBC/PUFFIN PAPERBACK WITH COVER PHOTOS FROM THE HIGHLY REGARDED SERIES. A LITTLE DULLING TO PAGES AND WEAR TO COVER ELSE VG UNMARKED CONDITION. SCARCE IN THIS EDITION Quantity Available: 1. Shipped Weight: Under 1 kilogram. ISBN/EAN: 9780140317220. Pictures of this item not already displayed here available upon request.